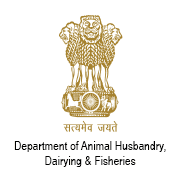 DAH HP Jobs Recruitment Notification 2018.Department of Animal Husbandry, Himachal Pradesh inviting applications for the positions of Veterinary officers.Interested and Eligible candidates can apply for the positions. Last Date for Submission of Application is on November 22nd, 2018. Total number of vacancies to be followed by HPDAH is 27 posts. Applicants must be completed B.V.Sc & AHfrom the institute recognized by the veterianary council of india. Selected candidates will get pay per Rs.15600 – GP 5400 + NPA @ 25% on contract basis. http://hpagrisnet.gov.in/ Is the link applicant will be download directly. O/o Director, Animal Husbandry, Himachal Pradesh, Pashudhan Bhawan, Bolleaugani, Shimla – 171005.